Hermosa Beach beach front homes are best found on the ocean front street known as "The Strand" in Hermosa Beach, California. The Strand runs parallel with the ocean and offers spectacular ocean view homes that sit on the front row facing the beach. A small boardwalk divides these homes from the sandy beach and is a great place to people watch in this busy part of the city. 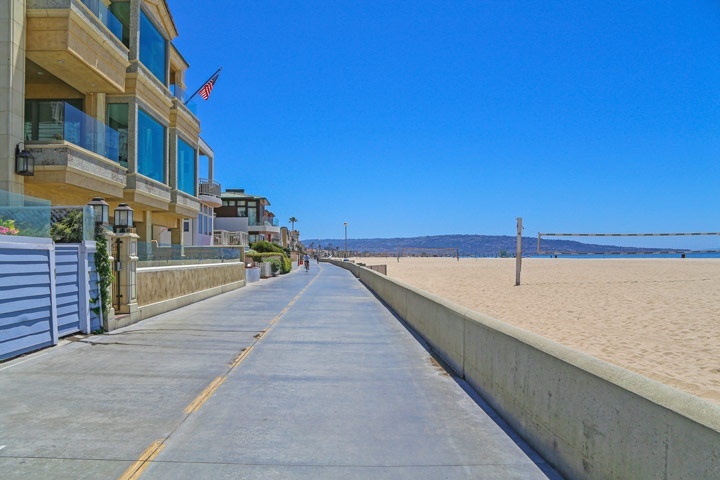 The Hermosa Beach sand section is also another place to find these beach front properties. The sand section will have a mixture of residential condos and homes for sale. Prices will really vary depending on the size and location of the property. Beach Front Homes have been known to sell as high as $14,800,000 for a home located on the Strand in Hermosa Beach. Below are all the beach front homes for sale in Redondo Beach including beach front condos. Please contact us with any questions and to schedule a showing for you today.